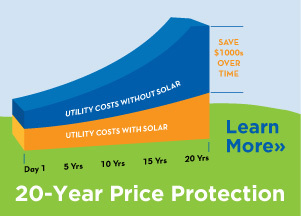 Make Solar Pay for Your New Roof! M. Rosenblatt Roofing & Siding is very excited to finally be offering solar! Not only that, but we are offering a new Roof + Solar program for no money down, and you own the solar energy system. For years our customers had asked us about going solar. Even though solar energy had many benefits, there were two main reasons why we steered our customers away from it. First, it nullified your GAF warranty. Second, you were leasing the solar energy system which caused a myriad of challenges if you wanted to sell your house and also limited the amount of savings you received. Solar programs of the past were designed to make money for the solar company. We wanted to hold out until there was a program that truly benefited the homeowner. And now there is! We have joined forces with a solar company that puts the homeowner first and has resolved our two main issues. Now, with a partnership between M. Rosenblatt Roofing & Siding, GAF, and the solar company, GAF will continue to warrant your roof once the solar energy system is installed. Also, you will own, not lease, the solar energy system. This not only prevents any problems if you want to sell your home but also increases the amount of money you will save on your electric bill. Currently, we are the only company in the area that can offer this program! 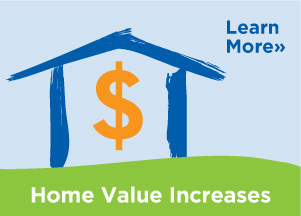 In addition, this combo program will significantly increase the value of your home. With a solar power system you can reduce or eliminate your most expensive operating cost...electricity. When combined with a new GAF roof, you no longer have to worry about replacing your roof over the lifetime of the solar system providing peace of mind and security for you and your family for years to come. Not every home qualifies for solar, or the Roof + Solar Combo program. There are some restrictions, just give us a call and we can see if your home is a good candidate for solar. Another thing to consider is the age of your roof. If your roof is more than 7-10 years old, you should replace your roof before putting on solar panels. 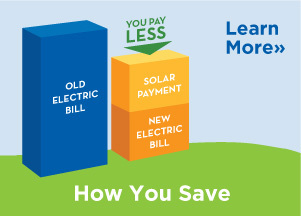 With our new Roof + Solar program you can get both with no out of pocket costs. If your roof is less than 7 years old, you most likely won't need to replace your roof but we can still get you the solar energy system with no money down. If you are interested in finding out how much money you can save by going solar, give us a call and we will get you started on the right path.